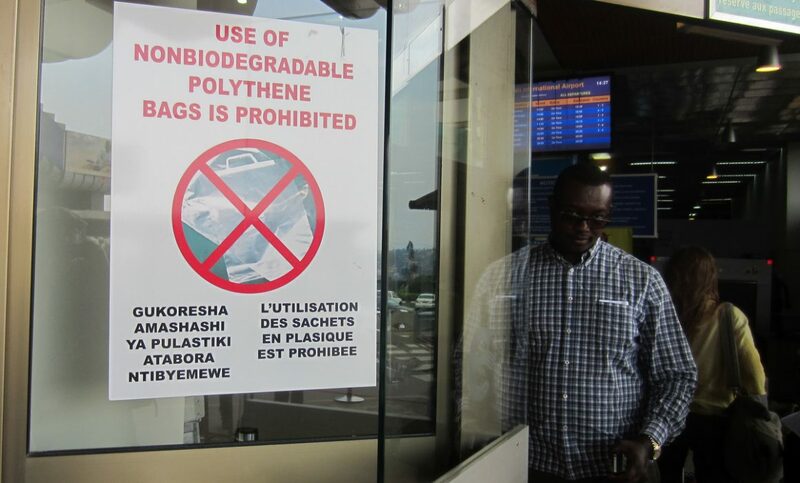 When you arrive in Rwanda at Kigali airport you will see a large sign reading, “Use of non-biodegradable polythene bags is prohibited”. That’s right, the country as a whole has banned the use of plastic bags. After the Rwandan genocide, authorities have spent time rebuilding the country and contributing to its economic progression to what it is today. Rwanda is probably Africa’s cleanest nation, and considered one of the most pristine places in the world. It wasn’t the plastic bags themselves that authorities were concerned about, but the ways in which they were being disposed of that was creating controversy. The majority of the plastic was being burned after use that released harmful and toxic pollutants throughout the air. Aside from the burning, the plastic was often disposed improperly and would cause flooding from clogging the country’s drainage systems. In 2008 the East African nation decided to put the ban in motion. 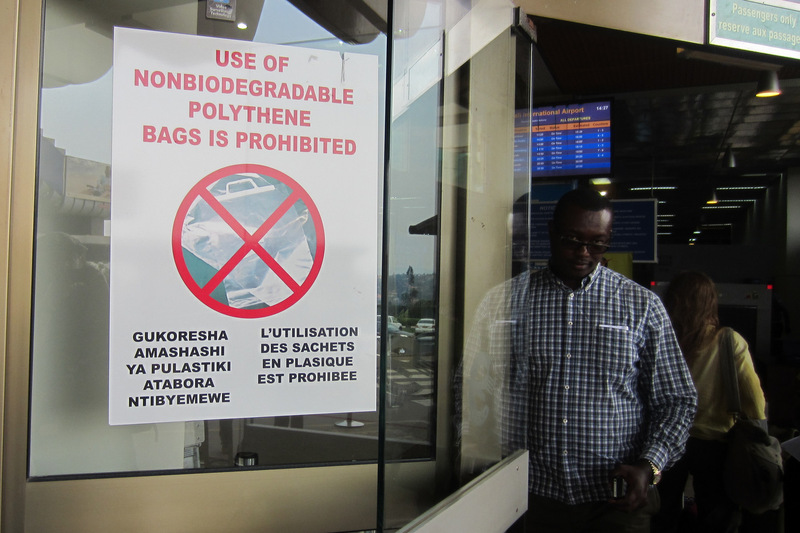 Luggage is searched at the border, and any and all forms of plastic bags are confiscated before entering the country. Instead of using plastic carrier bags, businesses have made the transition to using paper as an alternative. Instead of providing tax incentives to companies that manufactured plastic bags, authorities encouraged them to recycle, which therefore created a new market for environmentally friendly bags. A market that did not exist prior to the ban. The nation is one of 40 around the world that have restricted, banned, or taxed the use of plastic bags, but has some of the most extreme approaches. Violators face heavy fines or even jail time for these offenses. Typical fines are around 50,000 francs (US$61, €67). Although many might consider this ban severe, it works. Anyone entering Rwanda can see, it’s clean. Unlike other countries there are no mounds of rubbish and some could argue it is one of the most beautiful cities in Africa. Obedience to authority and emphasis on cleanliness is part of traditional Rwandan culture, and has played a key role to the success of these policies. Since the ban, the country has seen a reduction in animal deaths, soil erosion, flooding and malaria. However this ban is just the start for Rwanda, as they plan to fully transform into a sustainable nation by 2020. Not just stopping at plastic bags, the country is hinting at the possibility to become the world’s first plastic free nation. The policy has been going on for six years now and is proving to be a tangible way of living. Being so immaculate, it serves as a beacon to some Western metropolises that still suffer under the demand of such plastics. It seems impossible to live in a world without plastic, but to see a developing country implement and carry out such legislation is ground-breaking. It goes to show, anything can be possible if the political will really exists and true efforts are made.